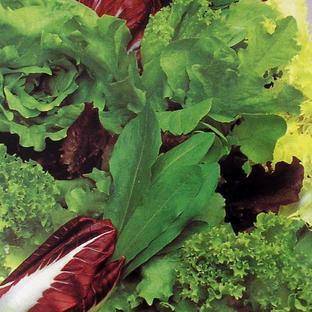 Even if you live in a roof-top apartment, with nothing but a balcony, you can grow and propagate delicious salads & leaves. Growing your own vegetables and herbs is easy with this balcony mini greenhouse; pick and come again salads and herbs are ideal. 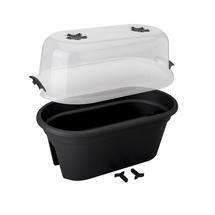 Simple to use - fill with compost, sow a selection of salads or leaves, water, put the lid on and watch the seeds grow. The lid acts like a mini greenhouse, creating a warm, moist environment for the seeds to germinate. Alternatively, if you don't want to grow from seed, try buying plug plants and plant them up in the mini greenhouse. The cover will help give them protection from harsh winds and nasty bugs. 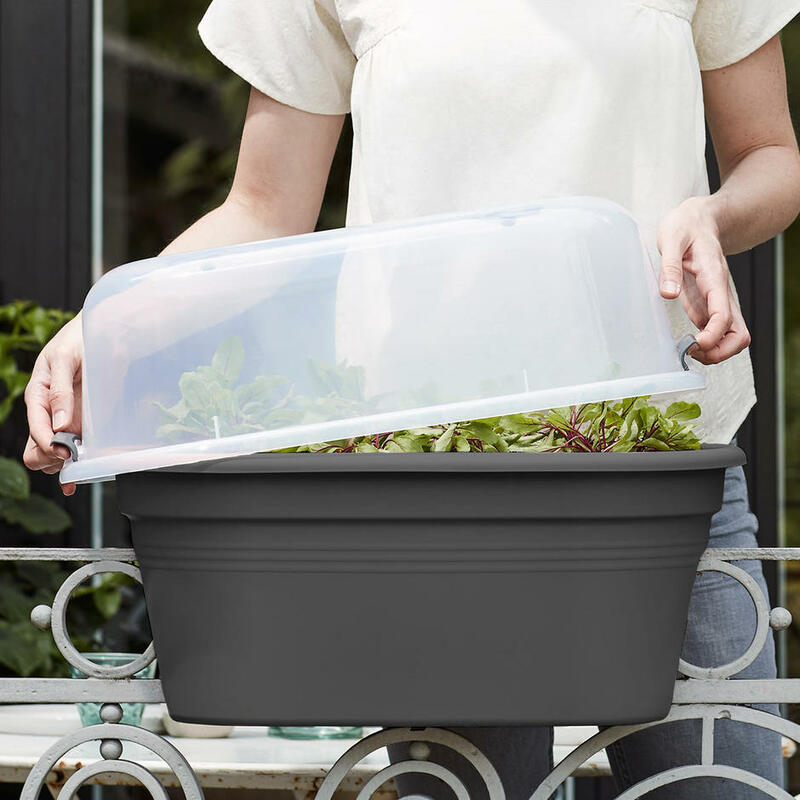 But even if you do not have a balcony, this mini greenhouse is freestanding, making it perfect for use in small gardens, or small urban spaces. If using on a balcony, the base sits over the balcony rail. and 2 clips hold it in place. 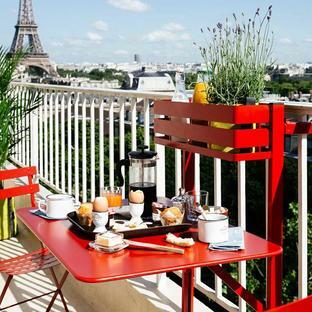 The maximum width of the balcony rail should be 6cm. 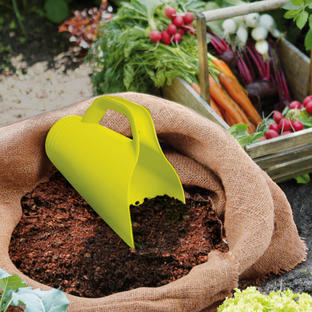 The curved lid acts as UV-filter to give protection to your plants. Weatherproof and fit for temperatures down to -40° Celsius. 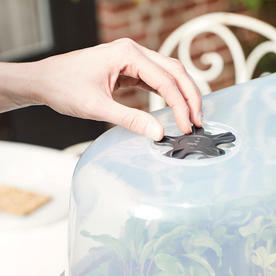 The lid has 2 ventilation vents, enabling you to regulate the air supply and help adjust the temperature. The lid has 2 clips on either side to attach it to the base. Lightweight and made of recycled plastic.